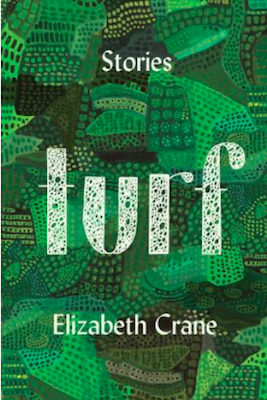 The following is from Elizabeth Crane’s collection of stories, Turf. Turf is comprised of a variety of stories, ranging from the end of the world as seen through a young couple to a group of geniuses who are able to unlock all the secrets of the universe except for the mystery of love. 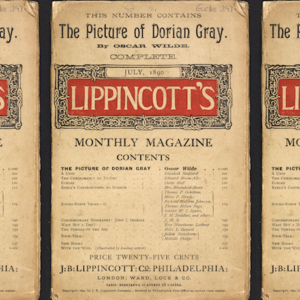 Elizabeth Crane is the author of two novels & three collections of short stories. She has been featured on NPR’s Selected Shorts & is a recipient of the Chicago Public Library 21st Century Award. It was the day after we’d put our old dog down that I opened the front door to discover a baby in a bucket on our doorstep. Remember how hard it used to be to have to take a beloved pet to the vet to put her to sleep? Now you had to do it yourself. A different way. A way I’d rather not talk about. These are the chances you take when you make a choice to open your door these days. Some days you can almost forget that it’s different now; other days you’ve just killed your own dog and there’s a baby in a paint bucket on your front porch. Seriously like out of some ’40s movie, except it’s neither funny nor cute. This baby did not look well. He looked too sickly to cry even. So I brought the baby inside and I said, Honey, our new problem is here, which is a running joke now, and he said, cheerfully, Yeah? What is it today? and I said, Today in Post-Apocalyptic Problems is proud to present: It’s a baby, and he said, A baby what? which was when I walked into the living room with the bucket baby. Congratulations, I said. It’s a boy. We both smiled, but this was something else. This would have been something else ten years ago, when Huggies still existed. But now, this was something else something else. This was: I am already very tired, I was born tired, and now I’m extremely tired, and I’ll be seventy when this kid, okay, well, he’s not going to college, but you know. I hadn’t even begun to recover from putting the dog down. I really don’t know if I can do this, honey. This is a lot. We could try to look for some people who want a baby, Dan said. We both knew nobody wanted a baby right then. Yes, babies were still being born, not as often, and many of them didn’t last a week, but you heard stories like this, about abandoned babies. Even if you might have once wanted a baby, our new world has gone a long way for promoting birth control. I mean, there’s really only one kind of birth control now, but still. People try. It’s just too hard to have babies. Dan took the baby out of the bucket. He was filthy and scrawny but Dan was very tender with him, wiped a smudge of dirt off his nose with some spit. How old do you think he is? He had that thin, wispy baby hair, and he could sit up on his own, but he wasn’t walking. Okay, well, first things first, let’s get this guy fed. We had absolutely not one thing that anyone would ever feed a baby. We had, at that time, been doing fine for ourselves with the potatoes, carrots, berries, chicken eggs, and a few other things we had managed to grow, but we mostly drank water. Sometimes milk when we could get it. One of our neighbors had a goat, but he was stingy with his trades. Not that we had anything resembling a baby bottle either. We knew we could find some way to improvise on that, but the actual food part was going to be a little more challenging. Dan saw my look of worry and said, Listen, let’s just get something in him right now, and we’ll worry about nutrition later. So we filled a little plastic bag with water (there were still plenty of plastic bags, there will always be plenty of plastic bags) and poked a teeny hole in it and brought it up to his mouth and he figured that out like a champ, which was a huge relief. Maybe we won’t totally kill him, I said. Nah. I think, at worst, we’ll only partially kill him, Dan said. Early on in the transition, there were differences of opinion on whether or not the change was permanent. Dan and I were ourselves somewhat divided. I held out hope as long as I could; Dan insisted he knew almost before it even happened. When I asked why he didn’t tell me, he said he did, and reminded me that we’d talked at length about the end of oil years before. But another one of our jokes is, You know I don’t listen. My memory is that I just didn’t think it would happen in our lifetime even if I was listening. Of course, much had been known about the damage we’d already done to the planet, but day to day, weird weather changes or even these extreme weather events that were obviously happening more often didn’t indicate that we had as little time left as we did. The news, and the government, at that point, weren’t predicting this exactly. Maybe they were trying not to be alarmist, who knows, but regardless of the warnings and preparations we were all encouraged to start setting in place; it seemed more precautionary than anything else, like an earthquake emergency kit, at worst, stuff to tide you over until FEMA came or whatever. Except FEMA wasn’t coming. I’m not saying it wasn’t alarming, but if you’ve lived a number of decades taking your cushy lifestyle for granted, there’s just a level of denial that you might not ever shake until it happens. Anyway, as soon as we—let’s say—agreed that the change was permanent, the first thing we did was claim the empty house I’d always admired over on Cambridge. It had been empty ever since we moved to the neighborhood and I eyed it every single day when I was out walking the dog wondering why no one ever moved in or put a for-sale sign on it. It would have been a two- million-dollar house easy back then. I asked Dan if he thought maybe it was haunted. Everything’s haunted, he said. I’d always thought my grandparents’ house was haunted, not like ghosts trying to scare us out or anything like in a movie, but just a general feeling that in an old home like that, there was, well, something. As Dan pointed out, plenty of people had always preferred old homes, the difference was that now no one was in much position to be choosy about it. He also reminded me about all the foreclosures and short sales, abandoned malls and ruined river towns back before any of this happened. I hadn’t forgotten. It was hard not to feel a little bit badly about all the claiming of things you knew people may have lost due to one difficulty or another. But options were extremely limited. Even if we’d stayed in the apartment we were in, it’s not like we’d have kept paying rent. But back to that baby. Dan and I always shared a sort of dark sense of humor, but with the world the way it was now, and death being more or less in your face on a daily basis, we were kidding but not kidding about whether or not we might kill the baby. We really didn’t know if we could keep a child alive. We had three dogs, an outside cat (I’m allergic), and four chickens by then, and we hadn’t killed them yet, but a human baby we were less sure about. So, you know, when in doubt, make jokes about worst-possible outcomes, we say. We named him Samuel Wesley, for our dads. As soon as he drank that water, his cheeks started to pink up. We had some hard-boiled eggs, so we mashed one up real good with some potatoes and hoped he was ready for solid food, and he was. He was very ready. We used rags for diapers and we put him down that night and he slept—you know what he slept like. At the end of that first day, as soon as he fell asleep, we both cried. We also laughed, but we cried. We would learn a few months later that he was probably closer to three than one, when he started talking a lot and told us his name was actually Manny. We moved to Brooklyn from Austin ten years ago, where we’d spent three long years while Dan was getting his MFA in sculpture. (Yes, I was that one who didn’t love Austin.) I had grown up in Manhattan, so I anticipated some financial challenges, but Dan had never lived in New York. We agreed to stay for a few years before settling down in some nice Midwestern college town. Rents were just about to force us out (even sooner than anticipated) when the apocalypse hit. Ha! Suddenly that seems funny. I’m fifty now and Dan is forty-eight and long before all this went down we had sort of permanently tabled the kid issue and we were fine with that. A couple of blocks from us, there was a so-called playground on a series of lots that had been cleared for a new condo complex that never happened. It had once been the home of an artist who’d moved there in the ’70s, over the decades repairing and festooning the house with all manner of scavenged treasures, creating stained-glass windows from broken bottles, mosaics made of glass, tile, and scrap metal; after nearly forty years, the artist was evicted and most of his work dismantled, leaving, more or less, just the façade with a giant hole in the center. The work of “restoring” the building into condos never came to pass. So what had been piles of debris in a hole in the ground became what some people liked to call a “progressive learning project.” This wasn’t a brand new concept; I’d seen a documentary about a playground like this and I even remember thinking it was a cool idea at the time, that we’d landed in an era of overprotecting our kids and this was a sort of interesting backlash. Basically, it was the opposite of every safe, considered, modern playground ever, where the kids could build fires, roll around in mud puddles if they felt like it, construct things out of donated wood scraps and whatever kind of rusty junk turned up there on any given day. Think: if someone suddenly swapped out the sign at the dump with one that said the playground on it. There was adult supervision, or to be more accurate, there were adults present. Supervision was questionable. Dan and I walked past it one day and remembered the structure in its glory, having met the artist just before his eviction. Where do you think he is now? I asked. The last we heard he was going to live with his son. Dan shrugged. I dunno, he was already old. Imagine if he saw this, I said. Think about it, though. He raised kids in this crazy building. It had holes in the roof and no heat. He might have preferred this over condos. I do. I’d bring my kids here. Good thing we don’t have kids. I still write. People have been writing since—well, since caves. Now, having used up most of what was on hand, we’re back to making paper when we can, though my efforts usually prove too crumbly to write on. Dan suggested parchment, but when I asked how parchment was made and he said from animal intestines, I said I would sooner stop writing than deal with that. The point is, paper is just one of a million luxuries that we have to work for if we want it. I write with one of my dad’s old fountain pens and ink I make with whatever I can and I write on whatever relatively flat and thin item I can find on any given day. I had started a novel based on me and my mom (again), which seemed a little less pressing post-apocalypse. But I didn’t want her to be forgotten, and I didn’t think anyone was much interested in hearing contemporary stories about epic killer flus just yet. For a period of time I wrote flash fiction on the windows with a dry-erase marker and then one morning when that was dried up I used a Sharpie, which did not please my husband as much as it pleased my two readers. (I wrote them backward.) It was an original window. Sometimes I think about how our hierarchy of needs, you know, the Maslow thing, changes according to the times. Which is to say that the top of that triangle keeps stretching a bit to include things like ever-new technologies we suddenly can’t function without, or you know, things like fame and prestige. And so, when ecological change comes, as it will (’sup, dinosaurs? ), and has again, and some of us have to move down the needs pyramid, from the eighty-dollar-candle level down through the working-out-your-issues-with-your-mother level and into the eating-and-breathing-and-staying-warm levels. These other needs are maybe not gone from your mind so much as less of an immediate priority. Novels become less of a priority. Novels become, on occasion, kindling. Not in my house. But it happens. From Turf. Used with permission of Soft Skull Press. Copyright © 2017 by Elizabeth Crane.